Write to p&g@teleperformance.com and say that you would like to take advantage of their very generous offer for multiple parents. They will send you a reference number in return. My vouchers arrived in 3 days! 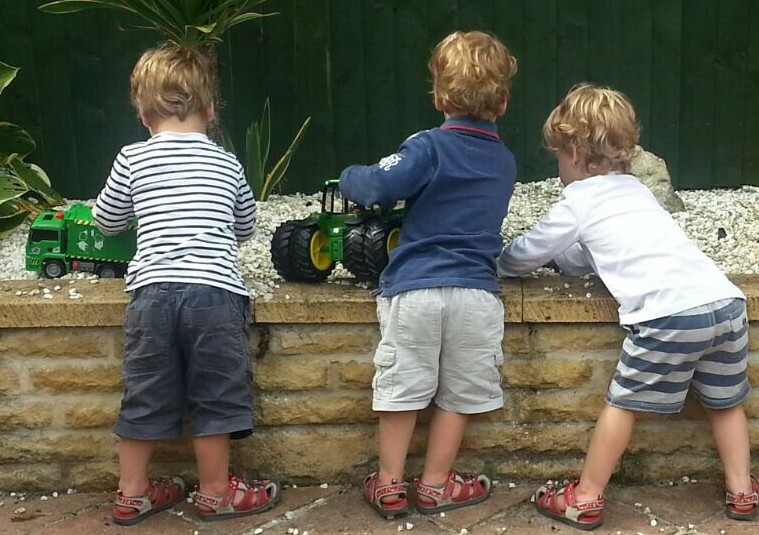 A charity set up to support multiple birth families in the UK. Monthly subscription is £2.50 and you get a quarterly magazine as well as lots of discounts. This is a national, support helpline for people with twins, triplets or more. This is a safe and friendly place for triplet and quad parents to share views and seek support and there is a zero tolerance policy in place for people who abuse the rules. You will have to provide proof that you are a triplet/quad parent, which protects the group from trolls and other people that do not belong there. A charity set up to support families with young children. Their volunteers can offer a couple of hours of practical and emotional support per week to those with young children. To contact your local office, please click on the link below. If you have a local college they may be looking for home placements for some of their trainee nursery nurses. I had a wonderful student from 9-5 on a Monday and Tuesday for 6 months! She helped me feed, change, bath…anything baby related she helped with. I did not pay for her to help me I simply provided feedback and signed her timesheet. She gained valuable experience and got some much needed help. Mothercare offer vouchers worth £100 if you have triplets and £200 if you have quads. You have to apply for the vouchers before your children are 12 months old. I sent a picture of birth certificates to Elizabeth.day@mothercare.com. If you have any suggestions for further contacts please add your comments below. Mothercare offer £100 of vouchers to newborn triplets and £200 to newborn quads! Yes you heard right! As much as we love our little bundles, they can bleed us dry in the money department and Mothercare have recognised this. They are offering £100 of vouchers to triplets who are less than 12 months old and £200 for quads. To claim your vouchers simply send a copy of your children’s birth certificates to Elizabeth.Day@mothercare.com. I try to keep on top of all of the promotions, but if you find that Mothercare have stopped running this please do let me know so I can take it off the site.